Is there a better alternative to Chicken Invaders 3 Christmas Edition? Is Chicken Invaders 3 Christmas Edition really the best app in Arcade category? 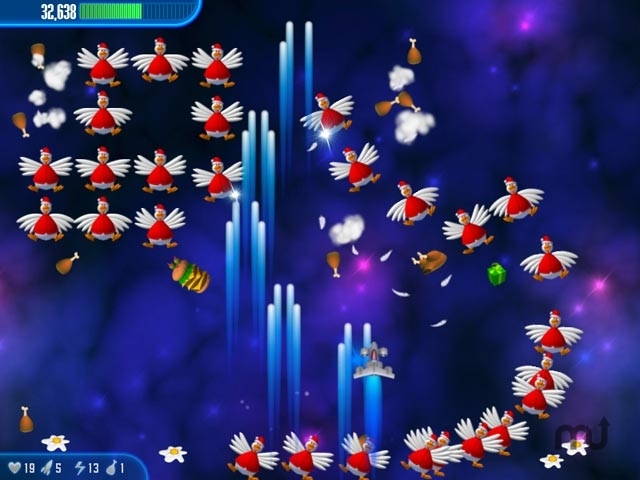 Will Chicken Invaders 3 Christmas Edition work good on macOS 10.13.4? Chicken Invaders 3 Christmas Edition...Chickens. For centuries we have oppressed them, grilling, roasting, stewing, and stuffing them in buns. The time has come for us to pay. Intergalactic chickens are invading Earth, seeking revenge for the oppression of their earthly brethren! It's time for you to fight for our ancestral right to omelettes. Will you succeed? Will the future of chicken burgers be secure? Or will you end up as part of the menu in a galactic chicken restaurant? Chicken Invaders 3 Christmas Edition needs a review. Be the first to review this app and get the discussion started! Chicken Invaders 3 Christmas Edition needs a rating. Be the first to rate this app and get the discussion started!